My building on campus is right next to a marshy area that is just full of cattails. Every time I see them, I wonder if you could spin the seed fluff to make yarn. So, the other day, I ignored the puzzled looks of the local joggers and picked a stalk to find out. 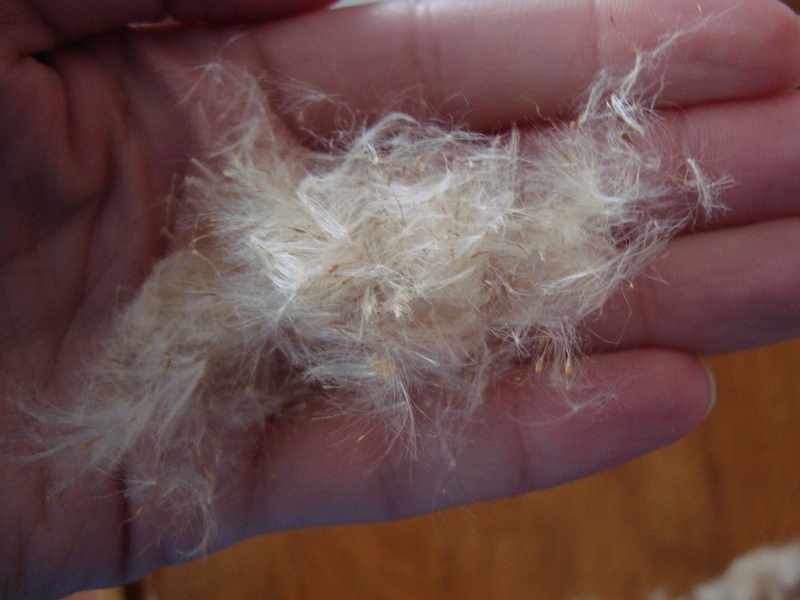 I don’t know much about spinning plant fibers, but I could tell right away that those were some tiny fibers. They’re about half an inch long (I think cotton is about an inch?). I decided to try anyway, since I had the fluff and I have the spinning tools. I started out on the wheel, and quickly realized that there was way too much takeup, even on the lightest setting. So I switched to a spindle. There, I had a bit more success. 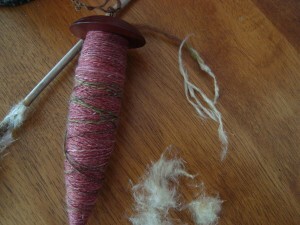 I got twist into the fiber, but it couldn’t hold enough to keep the fibers together without snapping. I’d manage to get along for an inch or so, and then it would snap off again because of too much twist, or the yarn would fall apart from not enough. 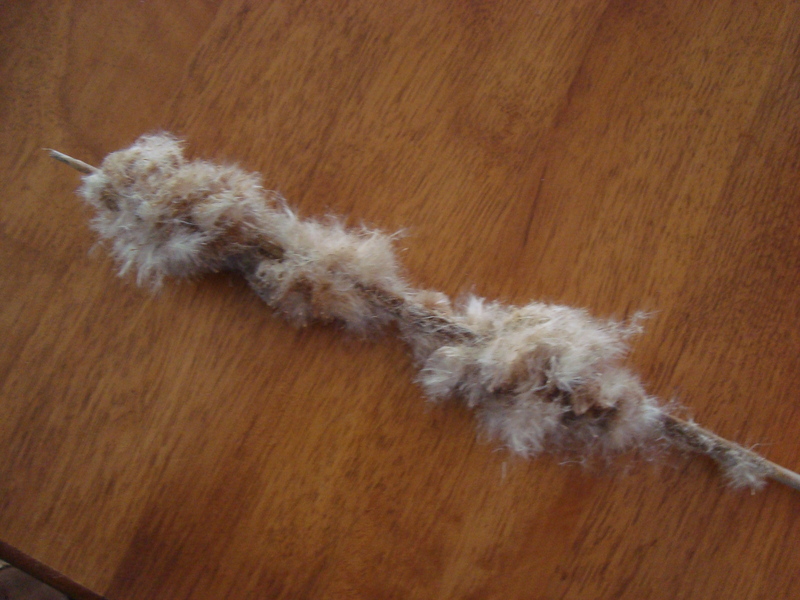 Perhaps it’s just tricky (I hear tell that cotton is no easy thing for a wool spinner to spin), but for now I don’t think I’ll be going into production of cattail yarn. DesigKnit is powered by	WordPress 4.8.9 . Page generated in 0.246 seconds using 27 queries.